An author who wishes to go the traditional route must have, above all, tenacity and a thick skin. (And, just like self-publishing authors, you need a fabulous manuscript.) First you need an agent; with few exceptions, you can’t just send your manuscript directly off to a publishing company. And it can take years of rejections before an agent will accept you. After that, it can take more years before the agent finds you a publisher. And you’ll likely still need professional editing if you go the trad pub route. Few agents these days accept manuscripts that haven’t been professionally edited. An author who decides to self-publish must have, above all, an entrepreneurial spirit, embracing and enjoying all that BYOB (being your own boss) entails. You must be the CEO of your book, treating it as a business venture, hiring the staff—the editor, designer, proofreader, printer—and doing the marketing. While self-publishers face an equally difficult set of challenges as trad publishers, this post focuses on the advantages, not the difficulties, of self-publishing. In a future post, I’ll turn the tables and look at the downsides of self-publishing and the advantages of traditional publishing. See more about the differences between self- and traditional publishing here. When asked why they are self-publishing, many authors say, “Because I can!” In the last two decades, digital technology first created print-on-demand publishing and then enabled e-book distribution, opening up what used to be a closed, elitist process to every writer: true democracy in publishing. 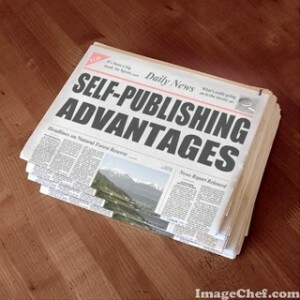 Following are some of the best reasons in favour of self-publishing. 1. Better odds. The odds are stacked against you of finding a traditional publisher. Thousands of manuscripts are submitted to agents and publishers every year; only a handful are accepted. It’s too easy to believe (or fantasize) that your manuscript is The One—the very, very special one that’s going to capture an agent’s eye out of the hundreds or thousands she receives each year. You need to be realistic. One source I read says your odds of finding an agent and then a publisher are perhaps 0.01%. On the other hand, your chances of getting your book self-published are 100%. 2. Traditional publishers can take too long. Most authors know how long it can take to find an agent. And even if/when you do find an agent, they cannot guarantee they’ll find you a publisher. It may take years, if it happens at all. And if they do find a publisher, the publication cycle can take a year or more. If your book is time-sensitive—for example, in medical, scientific, or technology fields—it may well be out of date by the time you find a publisher. 3. Creative control. This is a biggie. Every self-published author I’ve worked with over the years cites creative control as the #1 reason they chose to self-publish. They want the editing done their way. They don’t want the title changed. They want full control over their cover design and copy. They want creative control over future editions, e-books, audio books, marketing, and public relations. They want foreign and movie rights. They don’t want to wait five years. With self-pubbing, you take charge of your book’s destiny. With trad pubbing, you give up much of this control. 4. Business control; retention of rights. In a similar vein, self-publishing allows you complete control over the business of your book. This is where your entrepreneurship comes into play. As CEO of your book’s company, you decide on the company name (called the imprint), how much you’ll charge for your book, how much you’ll spend on the various aspects of production, how much you’ll spend on marketing, and what kind of marketing and promotion you will do. And of course, you’ll retain all the rights. You’ll also be responsible if things go awry, but if you’re a true entrepreneur, you’ll see this as a challenge, not an obstacle. 5. Longer shelf life. In trad publishing, your book is given a big marketing push, and if it doesn’t sell well in that season, you’re pretty much finished, and your book will go on the publisher’s mid- or backlist. Self-publishing allows you the benefit of long-tail marketing, meaning you can promote your book for years at your own level of comfort, effort, and speed, as finances and time permit, and using methods that make the most sense for you. 6. Online marketing opportunities. If you publish traditionally, you won’t have much say over how your marketing campaign is conducted. You’re likely to be restricted when it comes to what you’re allowed to do with social media, for example, in case that conflicts or interferes with the publishing company’s efforts. When you self-publish, you’re free to explore every possible online marketing avenue. And most authors have heard the stories of how some self-pubbed book campaigns have been very successful with social media efforts alone. 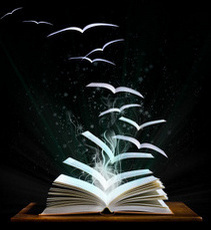 Your book will fly into readers’ hands sooner if you self-publish. 7. Book advances are not what they used to be. Every author has heard stories from the olden days of publishing when a famous author might get a $500,000 advance. However, the industry has changed dramatically since those golden years, and today’s new traditionally published author might expect to get, on average, $5,000 as an advance. Kind of meagre, isn’t it? And remember that’s an advance on earnings, so before you get paid any more, the initial $5,000 in royalties you’ll earn goes toward paying down your advance. 8. Keeping your profits. On average, traditional publishers pay royalties of between 5% and 12% of the book’s cover price. If your book sells for $19.99, that means you might get about $1 to $2.40 per book in royalties. If you are the publisher, of course, your initial production costs will be higher—remember that staff you’ll have to hire? 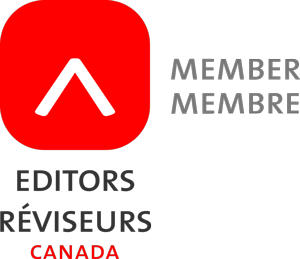 You’ll want to hire the best editorial freelancers you can afford for your budget. But it’s pretty nice to know that you’ll get to keep 100% of your profits after expenses. 9. Readers don’t care who published your book. While there’s a certain cachet to being published by a big publishing house, how many readers do you know who look at the copyright page to see who the publisher is? When considering a book purchase, readers look at the cover, the title, the back cover copy, the author’s name, and reviews of the book. They care about a great reading experience, not who the publisher is. 10. The self-publishing stigma is disappearing quickly. I’ve talked about this for several years, and it only becomes truer with each passing year. The stigma of self-publishing, which used to be associated with vanity publishing, is falling away increasingly quickly. More and more authors are choosing to self-publish, even when they may have an interested publisher, for all the reasons stated here. In turn, as authors gain knowledge and awareness of the steps involved (including professional editing, of course), the quality of self-published books improves, lending further credibility to self-publishing in general. 11. You are your book’s marketer no matter which route you take. If you’re a beginning author, you may be surprised to know that if you get picked up by a traditional publisher, you’ll still have to do most of your own marketing after the publisher’s initial promotional push (bookstores, etc.) is over. Dreams of a big publishing house marketing you all over radio, TV, print, the Internet, and billboards across North America are largely unrealistic. These days, even the big publishing houses have very limited budgets for marketing. So if you have to do your own marketing anyway, why not do it your own way, on your own time and budget, as your own publisher? 12. Appealing to a niche market. The Internet has enabled just about everyone who’s involved in a niche professional field or niche hobby to find people all around the world who share their interests—and that includes authors. While a big publishing house may not be interested in your book (Techniques for Creating Miniature Vampire Cheese Sculptures) because of its limited market, you can self-publish and use the Internet to promote your book to your built-in readership in your niche worldwide. 13. A boost or supplement to your career. Once you write a book related to your field of work, you almost instantly become an authority within your area of expertise. This can lead to other career opportunities. There’s something about having a book to sell at the back of the room when you’re doing a speaking engagement, for example, that lends you even more credibility than you may already have. The chances of finding an agent for this type of book are very slim, so self-publishing is often the best option. 14. Helping others. Are you an advocate for certain health issues or for spiritual or personal growth? Do you have knowledge that will help others improve their lives? Self-help books have been popular almost since the beginning of writing itself, taking their modern name from the Victorian best-seller Self-Help. By self-publishing such a book, many authors feel that with each book read, someone is receiving a benefit, and their book is serving a greater purpose no matter how many or few are sold. 15. Testing the market. Are you unsure of your book’s chances for success in the marketplace or don’t know how many will sell initially? Using print-on-demand technology (POD, which is a digital technology and not a business model), you can begin by printing just a small number of copies to test your market and see how your book fares. If it fares well, you may even be picked up by an agent who’ll pitch you to a traditional publisher. Agents respect the efforts of self-publishing authors and may give them extra consideration. 16. Leaving a family legacy. Memoirs have never been more popular than they are now. Every human being has a special story to tell, rich with both unusual and ordinary events as well as moments of glory, tragedy, and comedy. A short-run POD printing of your memoir to distribute among relatives, friends, and descendants can become a valuable source of family memories and a cherished heirloom. You may not be as interested in making money or becoming famous as in leaving a legacy for your family and for others who might benefit from your unique story. There are other reasons, both personal and professional, for self-publishing; I’ve listed some of the main ones here. If you do decide to self-publish, I urge you to heed this bit of advice: please do your homework. The publishing process can be complex, with important choices to be made at every turn, and you’ll be much better equipped to make the best decisions if you educate yourself. More information is available today on how to successfully self-publish than ever before. And hybrid publishing is also an option; this combines some of the best elements of both self- and trad pubbing. Whatever your reasons for self-publishing, do make sure you enjoy the process by seeking out professionals to work with at every stage who share your vision for your book. I wish you much success in your journey as a self-publisher! * Caveat: Self-publishing means you alone are the publisher, not an outside “self-publishing” company you hire and pay to publish your book. I’m quite strongly opposed to most subsidy publishing, fee-based publishing, author-assisted publishing, or whatever the latest euphemism is for what is essentially vanity publishing. This is not true self-publishing. These publishing services companies, often sneaking the misleading term “self-publishing” into their sales pitches, charge you money up front to publish your book, pay you a pittance royalty, often make you buy your own books back, and are not interested in you personally as an author. Sometimes called author mills, many of them fall under the shady Author Solutions umbrella. Do your due diligence before signing on with one of these companies. If you choose this route, please first read this article by Victoria Strauss at Writer Beware, one of the industry’s top watchdog websites. 1. Speed to market – there is a reason it takes that long, and it’s not wasted time. Look into it. Every moment is utilized. 2. pay back advances – No! Never! it doesn’t happen for not earning it back, it DOES happen if they pay you an advance, and you don’t deliver your manuscript. 3. Royalties are more like 5-15% with 10% being pretty average. 5% is usually for picture books where the author is splitting royalties with illustrators. 4. You are your book’s marketer: True, but getting into stores, which is what happens with a trade publisher, is where the marketing $ are spent. Authors always think they don’t get any marketing help b/c they don’t see ads, or commercials, but the act of getting the book into stores takes money. That is where advertising is spent. 5. Longer shelf life: All books, nowadays, enjoy the same never ending “shelf life.” before, when booksales didn’t happen online, a publisher stopped paying to have a book in stores when it stopped selling lots. Now they still do that, but it’s still on their catalog, still on Amazon and every other book site on the planet. Still beside every place a self published book is. 6. Better odds, of course it is. It’s 100% if you self publish. But that doesn’t mean something should be self published. I said it before, but I’ll say it again. I am a self published author. Exclusively. I love it. I will keep doing it. But making a decision as a writer means having all the information. Don’t perpetuate false ideas. Just because they’re internet memes, doesn’t make them so. Mustafa, thanks for your comment; I do appreciate the new information. It appears I may need to check my research on royalties, which I’ll do as soon as I get a chance. But I will defend some of my other points. 1. I’m not suggesting that the time it takes to publish traditionally is wasted time. Yes, every moment is used productively, and meanwhile the author can get back to writing! 2. In some cases, this does in fact happen. But I’ve amended this item to reflect your point. 4. I agree! But with trad pubbing, you still have to take many more initiatives with your own marketing than in the past. But again to reflect your point, I’ve also made an amendment to this item. 5. All books actually don’t enjoy the same shelf life. After the initial promotional push is over for trad pubbed books, advertising dollars go to the publishing house’s next new books. Of course, yes, they still remain on Amazon and in the house’s catalogue, but that’s passive promotion, if it can even be considered that. A self-pubbing author can keep actively promoting their books as long as they like. Thanks for giving me lots to think about and a few things to check. And I’m glad you’re enjoying self-publishing! THIS was an incredibly, on-point read, and so very educational. Thank you Arlene! You’re welcome, Lude-Hena. And thanks for your comment! Great post. I’m a big fan of indie publishing and agree that people should do their research before choosing what to do, but given how rapidly publishing is changing, I see indie publishing as the safest way to publish right now. I’ve spoken with agents who say publishing contracts are getting more convoluted as publishers try cover every possible publishing right even if it hasn’t been discovered yet. Thanks for your feedback, Kevin. I know few authors who do as extensive research as you do, so I’ll certainly take your word on that. I’ll look forward to your input on my future posts on self-publishing and traditional publishing. Do feel free to correct me if you find any misinformation in my posts! Your colleague, Barbara Dylla, forwarded me this post, as I have recently “self-published” a book of my own. I use quotation marks, because I tend to employ the term “indie publishing” or even “team publishing” — because, as you noted, there are multiple roles to be fulfilled. Might be an additional resource to your readers. A check of the link you posted here in my comments shows it’s no longer working. Should I remove it? me to put a disclaimer on my site to state that all rights and profits remain with the author. I also love the term “team publishing.” I think I’ll use it! Keep writing great blogs. We may not always comment but we do read them! Thanks, Darcy! I appreciate your comment very much! Glad something twigged for you by reading my article. And sounds like an interesting new publishing model you’re doing. I like the term “team publishing” too. After all, it’s a huge team effort no matter which way you look at it. As someone who’s done a fair amount of both traditional and self-publishing, I don’t disagree with your points. Self-publishing is a wonderful opportunity, and while it isn’t for everyone, for those people who enjoy it, it can be a great direction in which to take a career. I find it a little sad that you mention “having a fabulous manuscript” only as a factor in traditional publishing, though. Having a fabulous manuscript should be equally important to a self-publisher. Maybe even more so. While none of us are likely to deny that bad books are published by traditional publishers all the time, there’s usually a certain standard of quality attached to a traditionally published book. Not in every instance, of course, but overall. A self-published book has to compete in the same marketplace, and so should be no less fabulous than a traditionally published one. And while I’m sure that’s not what you intended to convey, I think it bears saying. While the business end of being a self-published author is fascinating, it all has to begin and end with a fabulous manuscript. This is a very valid point, Jenna. As soon as I finish this comment, I’ll go back and make a change. I heartily agree that it’s equally important, perhaps more so, to have a fabulous manuscript when you’re self publishing. You know, when you write 2,000-word blog posts as I do every two weeks, sometimes little nuances slip through the cracks. But when this happens, it proves a point I often make: even editors need editors!